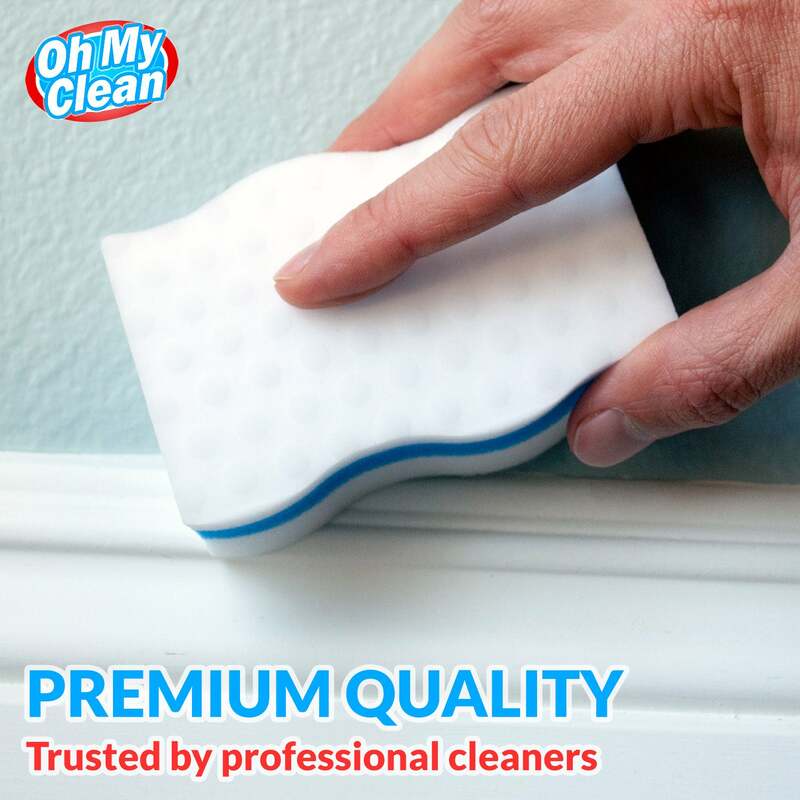 Trusted by professional cleaners, our Power Clean textured surface cleans better and lasts longer than the competition. The unique 3 layer wave design easily lifts away dirt and grime - even from hard-to-reach corners and crevices. 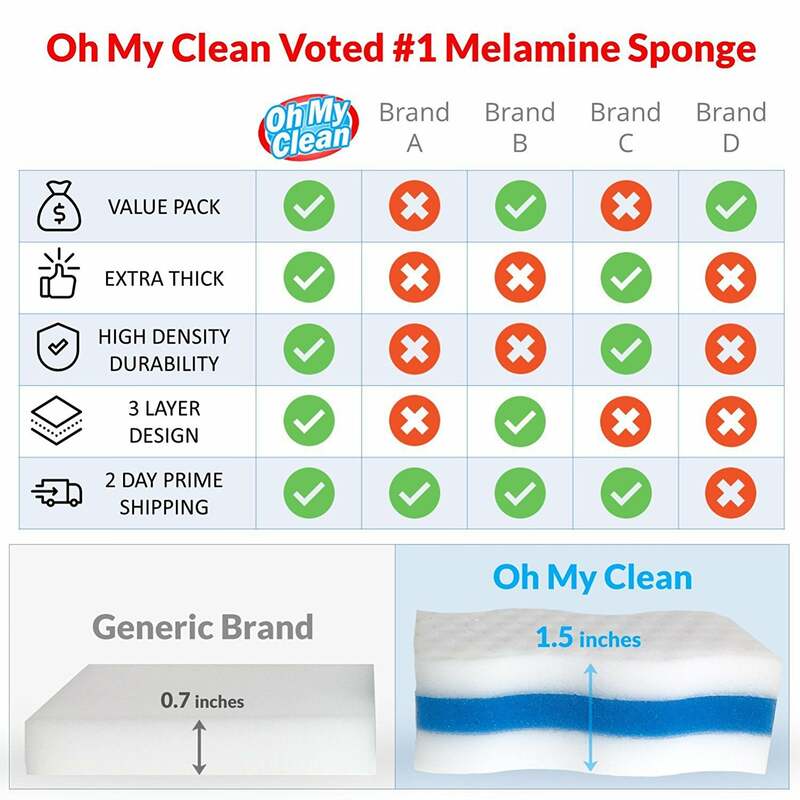 Most melamine sponge bulk packs come with tiny sponges that crumble and fall apart immediately. You deserve better. 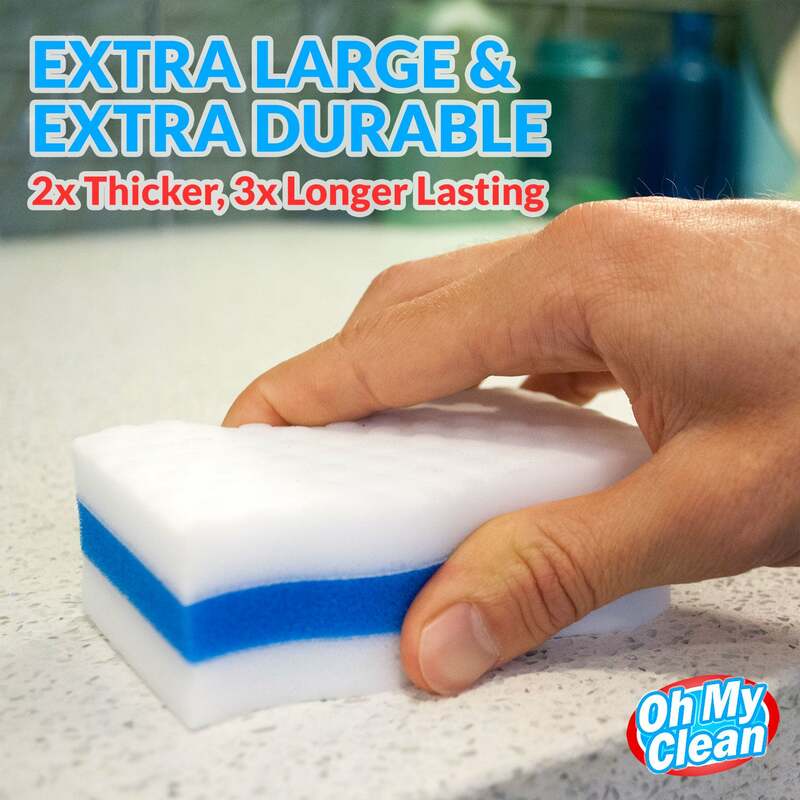 Our eraser sponges are the thickest and most durable scrubbers you can buy.